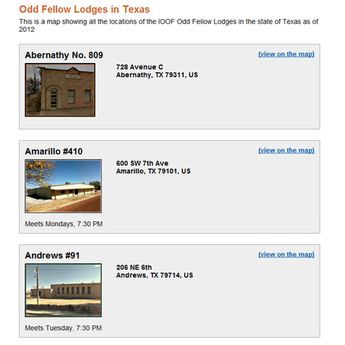 Click on the images above to view all of the IOOF Lodges of Texas on a Goggle Map. 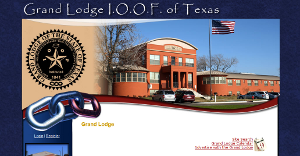 View a list of IOOF Texas Lodges by city showing street view of local lodge halls. A person must be sponsored by a current member. 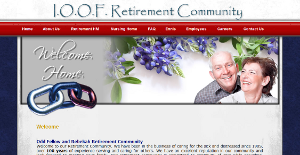 The first step towards joining is to find someone who is a current member. 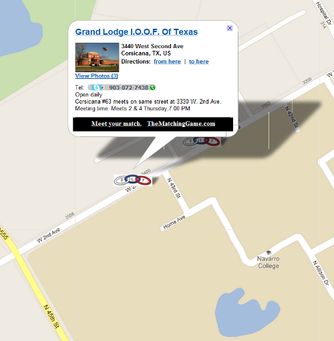 Look on the above map to see where a lodge is near you. Drop in on the lodge day of a meeting about 30 minutes before the scheduled time and introduce yourself. 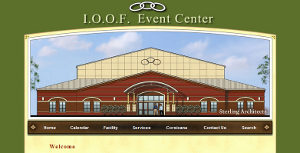 Most lodges are eager to find new members and they will be glad to meet you.